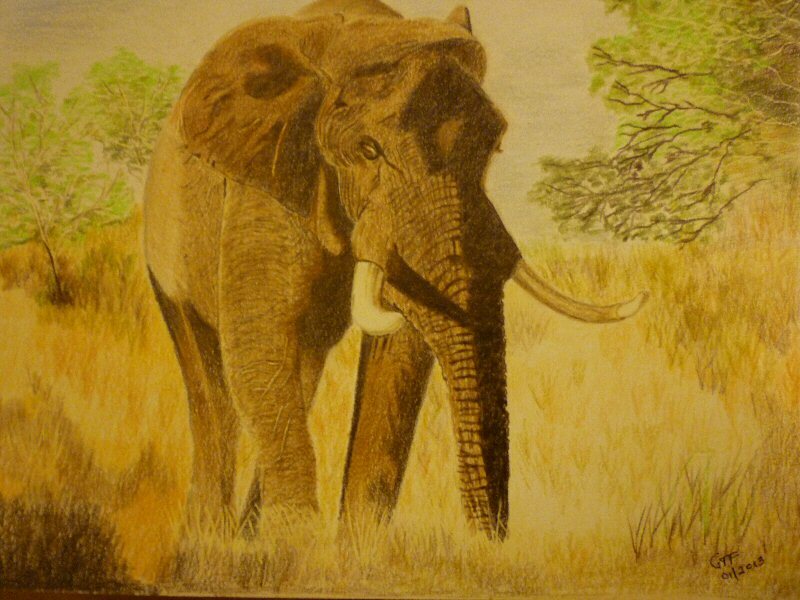 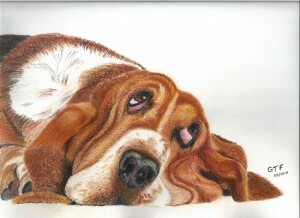 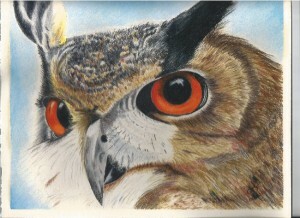 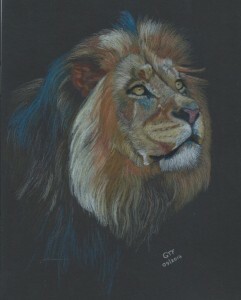 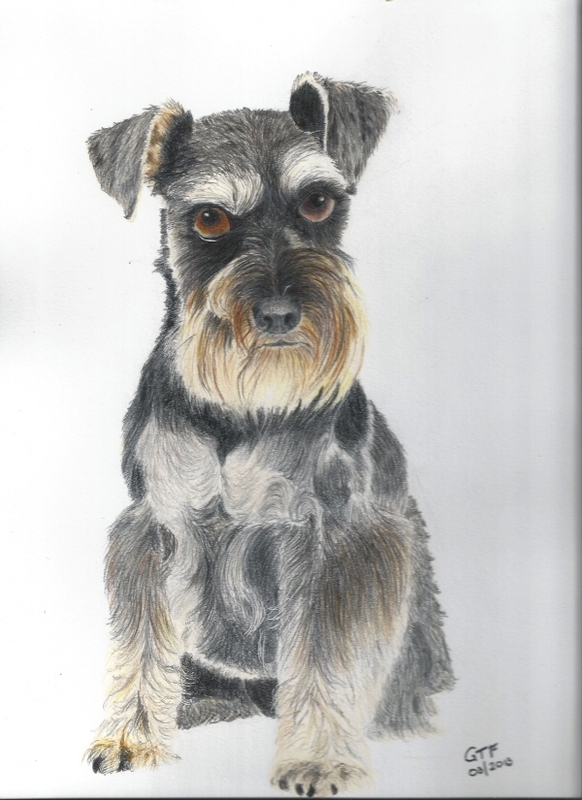 -Coloured Pencils, (Faber-Castell Prismacolour), on Stonehenge Paper. 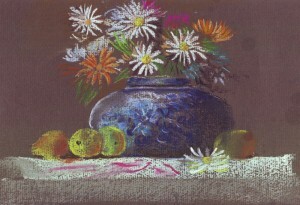 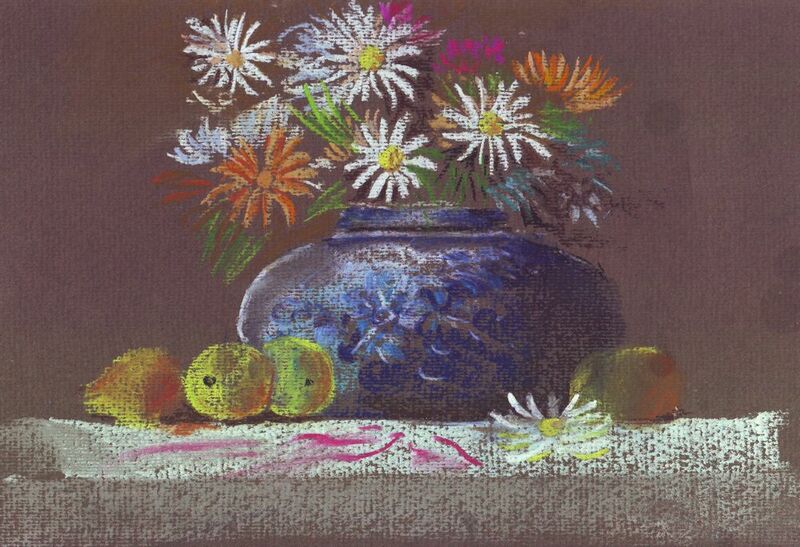 “Blue Vase & Flowers” a still life in pastels – this is Geoff’s first attempt at pastels and a super job he made of it too. He clearly has a talent for it. 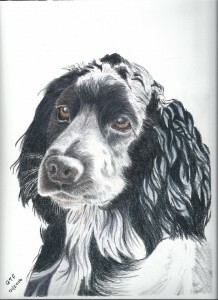 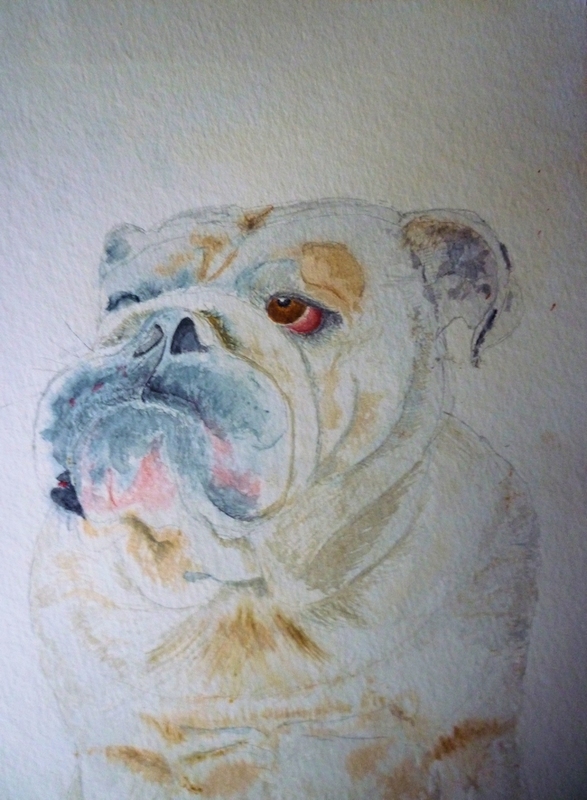 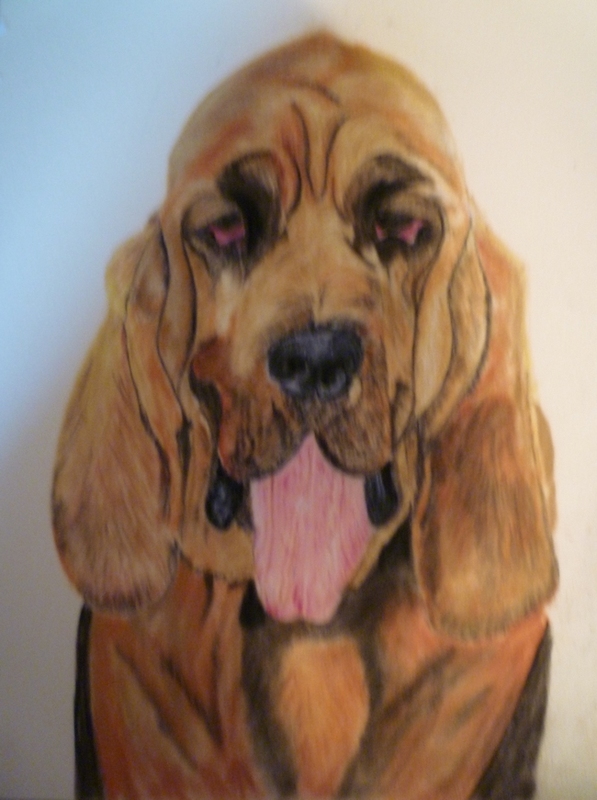 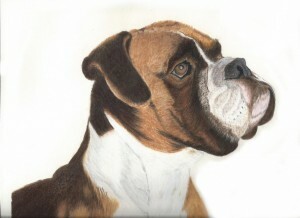 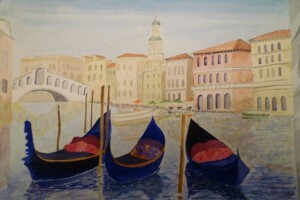 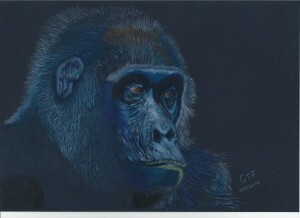 This was created during a tutored session at the Art Group so it could only have taken a short while. 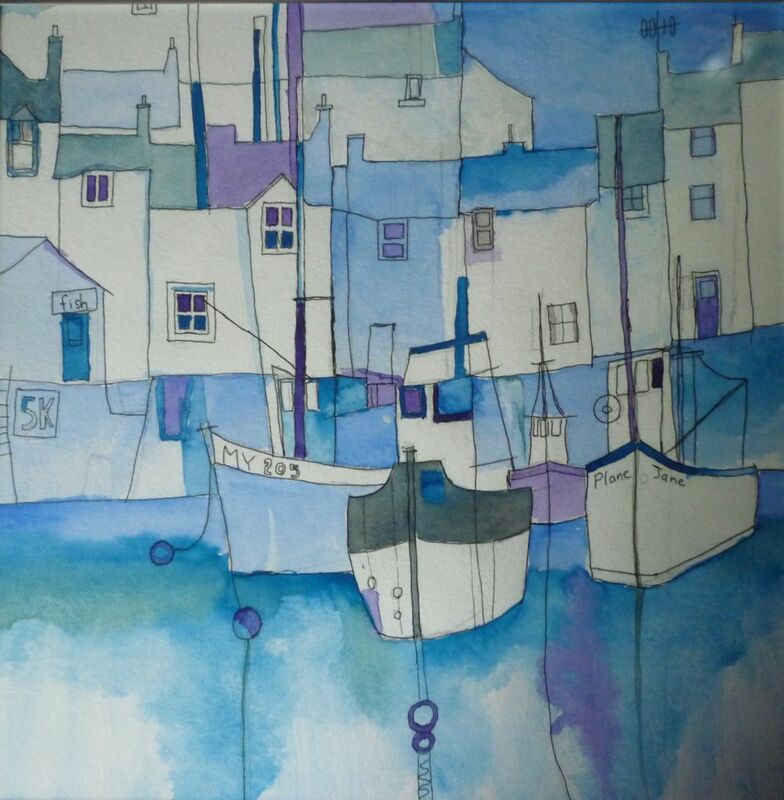 “Abstract Harbour” – watercolour – This might just be my favourite of Geoff’s gallery. 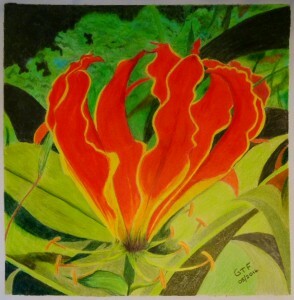 I really like the colour and composition. 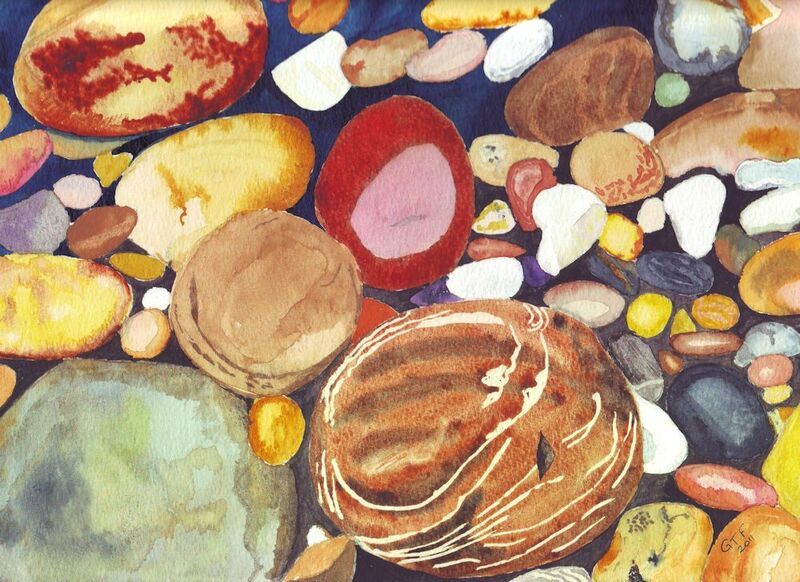 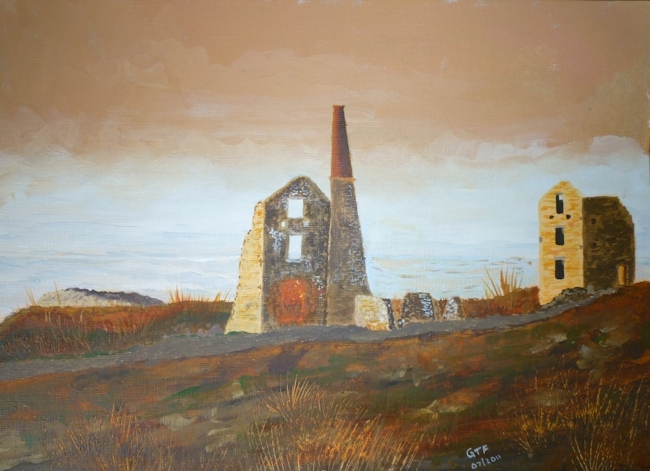 “Pebbles” – I don’t have any information on this painting but I’m sure that Geoff will supply it. Whatever medium it is (I’d guess watercolour) it’s very effective.